Straight from designer Candice Olsen, let this subtley floral pillow help you blossom your home décor. Lightheartedness comes to mind with these pillows, painting a cozy atmosphere. Coming in a variety of shades of light pastels, these pillows were skillfully hand woven by fabric artisans in India out of 100% Linen. 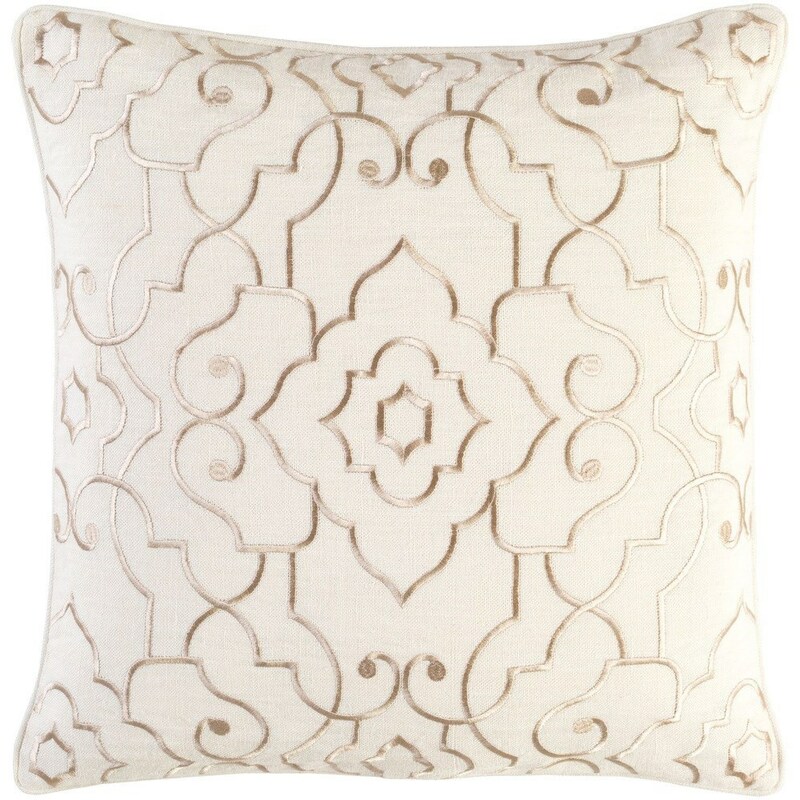 The Adagio 18 x 18 x 4 Polyester Throw Pillow by Surya at Royal Furniture in the Memphis, Nashville, Jackson, Birmingham area. Product availability may vary. Contact us for the most current availability on this product. Browse other items in the Adagio collection from Royal Furniture in the Memphis, Nashville, Jackson, Birmingham area.